I was riding my bike one morning down Reseda Blvd. and, as usual, I had my eye out for cars to buy. 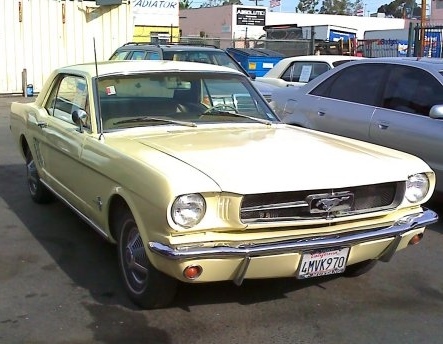 I saw a nice looking '65 Mustang parked in front of a Mexican restaurant with a "For Sale" sign on it. Upon closer examination it was actually very nice. The color was called Springtime Yellow. The paint was in great shape and the black interior looked almost new. Most importantly, it was completely original and had not been modified or customized in any respect. This is exactly what I look for when I buy an old Mustang. 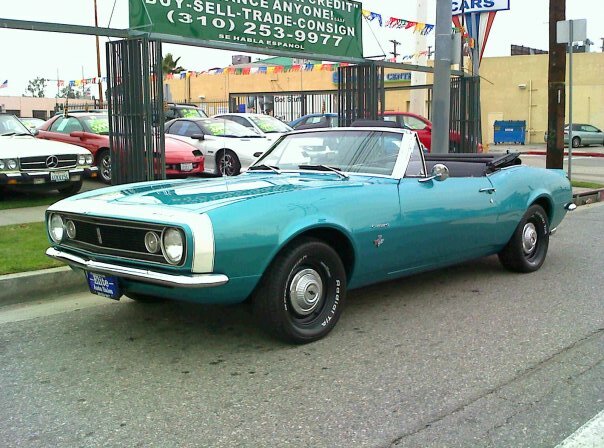 1967 Camaro Convertible "Bird Dog"
Sometimes in the car business we have to be resourceful when looking for cars and most dealers have a network of "bird dogs." These are individuals that bring cars or contact information to us and if we buy the car then we pay them a finder's fee. They can be colorful characters ranging from Gypsies to convict types to retired doctors and everything in between. 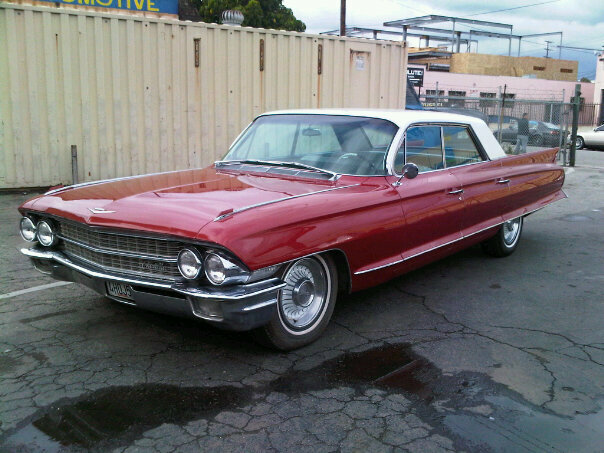 A call came in from the website www.dennisbuyscars.com to go look at a Cadillac in Irvine. It was a beautiful color called Phoenecian Red. The color was bit faded and had a few minor scratches and small dents. But the interior was absolutely immaculate done in black and white in the brocade fabric of the day without a rip or tear. The dash was perfect, the channel seeking AM radio still worked, it even had the original floormats and the AC worked like new. All this car needed was a paint job and it would be a show piece. When I asked her how long she had this car she said, "My mother drove me home from the hospital the day I was born in this car!" 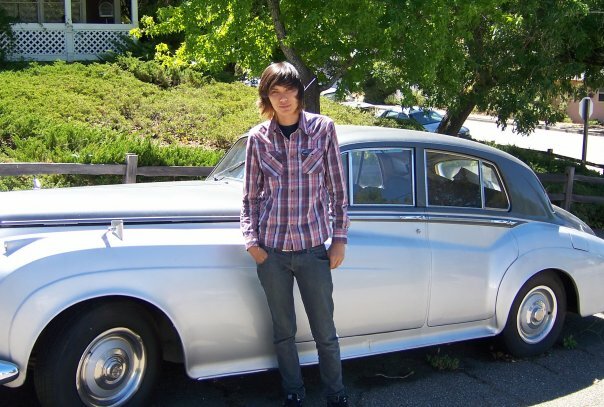 A call came in through my website www.dennisbuyscars.com concerning two vintage Rolls Royces for sale. The caller explained that the cars actually belong to his sister in San Fransisco and he gave me her number. I called the woman and almost before I finished telling her my complete name she interrupted me by telling me how much she wanted for the cars and that she was not negotiable. I knew immediately this one would not be easy... I had my work cut out for me. 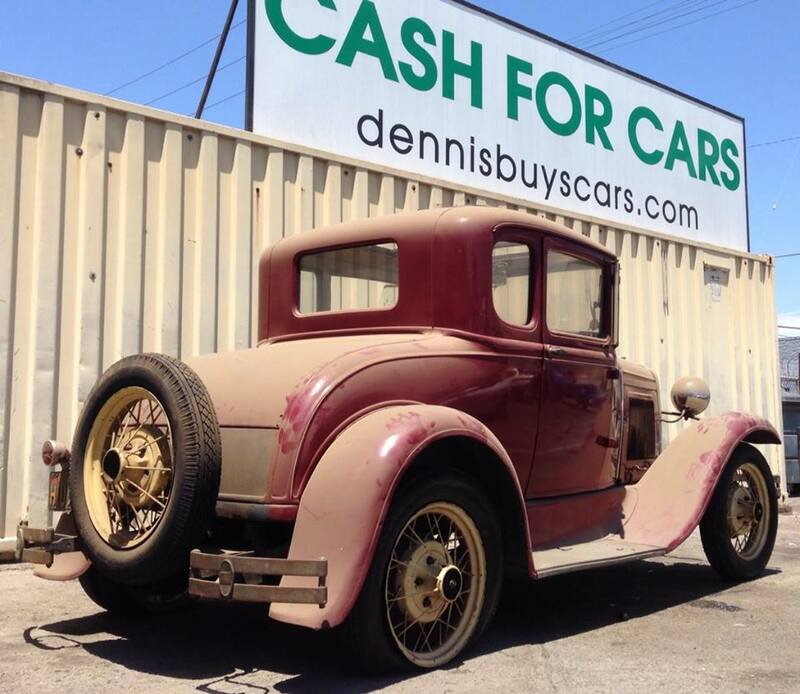 I received a call from a woman who saw my website www.dennisbuyscars.com. She asked me if I was interested in a Model A Ford. She seemed pretty knowledgeable about the car's value and pretty much told me what she wanted for it and probably wouldn't budge on price. Nonetheless, I was interested and booked the appointment. 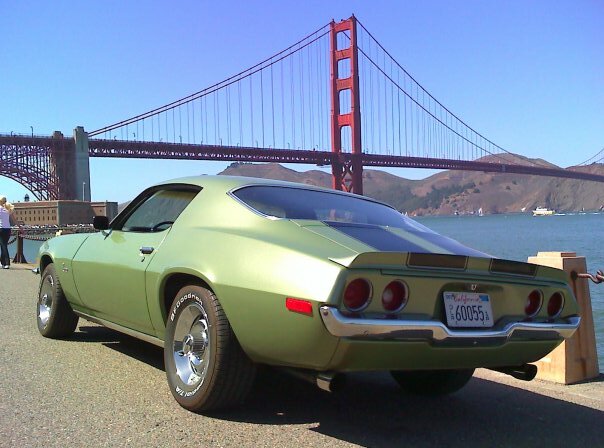 For a two year period of time, every six months or so I would get a call through my website www.dennisbuyscars.com from a woman selling a 1970 Camaro. She explained to me that it was her mother's car who bought it brand new in Los Angeles and that it only had 80,00 miles on it. This is the Holy Grail of car buying "back stories" and it had every desireable ingredient; a "little old lady" owner, original engine, low mileage, California car since new verified by it's original license plates and had never been painted. I have a super clean 2006 Toyota Solara with 100K mileage listed on www.dennisbuyscars.com for $7995. This price is anywhere from 2-5K under the market primarily because of the mileage which was high only because of the long, daily freeway commute of the previous owner. Also, I like to have a very competitively priced car from time to time to attract attention. Licensed, Bonded and we ship worldwide!